It is a permit to enter Japan issued by the Japanese government to foreign nationals. Other than a tourist visa (a stay up to 90 days) and a student visa (up to 2 yrs. ), there are various visas such as working holiday visa, working visa, family stays visa, spouse visa, etc. How long does it take to have a student visa application processed? It takes about 6 months. It is necessary to prepare for the visa application far in advance. Do I have to apply for a student visa by myself? Application for a student visa to the immigration office is conducted by the school. However, you need to prepare necessary documents by yourself beforehand. In the case of applicants who wish to enroll in the Evening Course, Private Lessons or JLPT Preparation Program, the School cannot support you with your application for a student visa. Can you help me prepare the necessary documents for the application? Study abroad agents can help you. We are presently collaborating with some agents in Taiwan, China, Hong Kong, Korea, Vietnam, Russia and Mongolia. Can those who do not have a student visa be admitted to the school? Yes, there are many students who possess a visa other than the student visa. Can I change a visa to a different one? Student visa → tourist visa No. Student visa → Working visa Yes. Working visa → student visa Please consult us. Student visa → working holiday visa No. * Please note that there are cases that you cannot change the visa status. Please consult us for details. Can I extend a tourist visa? It depends on your nationality. The length of stay of a tourist visa holder is 90days or shorter for many nationals. Please check it out on the website of the Ministry of Foreign Affairs. When am I supposed to take a level check test? All the students will take the level check test (placement test) on the enrollment day. You will be placed in a class suitable for your Japanese language level. The enrollment day is the first day of the school term. When am I going to buy the textbooks? You will purchase the textbooks soon after the classes commence. Do you have a 6-month course? Can I study just for a month? Yes, but you need to consult with us in advance because it depends on the availability of seat, period of study, etc. Is it possible to enroll in a course at the halfway of the school term? Yes, if you are going to study for 4 weeks or longer. Because it also depends on the availability of space, please contact us in advance. Which student nationality do you have the most? As of October, 2015, the number of Taiwanese students is the largest in the Comprehensive Course and the number of Vietnamese students is the largest in the University Preparation Course. Can I attend other classes besides the classes in the morning? You can enroll at other programs offered in the afternoon hours such as JLPT Preparation Program, Japanese for Job-Hunting, Kanji Class, etc. Extra fee is charged for those programs. You may use the self-study room after your class. Shall I have to pay in a single payment? For the single term programs, you need to pay in a single payment. For the courses which last for 1 year or more, it is possible to pay by installments; you may pay the fee for the first 2 school terms (6 months) and, after that, you may pay every school term. Are the textbook costs included in the tuition? No, they are not included. You need to pay them separately from the tuition fee. What is the cost for the textbooks? It differs according the Japanese level. It costs about ¥8,000 for the beginner level students, about ¥4,000 - ¥10,000 for the intermediate and about ¥6,000 for the advanced students. Are there any discounts depending on the visa status? No. But if you re-enroll at Naganuma Schooll after completion of your course or program, we do not charge you extra for the enrollment fee and application fee. There is a Naganuma scholarship and there are several scholarships granted by other organizations. Do the students of single term programs study with the students of long-term courses in the same class? Yes, they join in the same class. 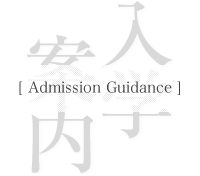 Regardless of the duration of the study, you will be placed in a class that best suits your level of Japanese. Do we receive tests while studying in the course? There is a check test after every lesson of the textbook, a mid-term test and a term-end test. These tests will tell you whether you are on the right track of learning and show the areas where you need to review. The term-end test is a comprehensive test composed of conversation, listening and writing. Can I get a student commuter pass? Yes for those who enrolled at a long-term course which lasts for 1 year or more. Can you arrange an accommodation for me? We can introduce you some good accommodation agencies. All of them can communicate with you in English and other languages. Do you have a school dormitory? We have a school dormitory for women. Please apply for a place before you enroll at the school. You may apply after enrollment but we cannot always meet your request when your application is late. What kind of part-time job are the students engaged in? Students find part-time jobs at restaurants and convenience stores. How much does it cost to live in Tokyo? Including costs such as rent, food, utilities and so on, it will generally be in the range of ¥80,000 to ¥150,000 per month.